Reserve Bank of India's (RBI) deadline given to banks to snap the ties with entities that deal with cryptocurrencies finally ends today. Exactly three months ago, India's central bank had instructed the banks to end the relations (if any) with cryptocurrency-driven companies. The RBI released the circular on April 6 that was challenged in the Delhi High Court, which initially refused to grant an injunction. Even the Supreme Courtdeclined to issue a stay order on July 3. The matter is still before the Supreme Court that will hear the matter on July 20. Ever since the ban was imposed, there was sentiment that the cryptocurrency market will survive the RBI ban. Ahead of the crackdown, some exchanges, such as International Digital Asset Platform (IDAP) and BuyUCoin, have even planned to shift the base abroad in a bid to evade the regulatory crackdown. Once the RBI's prohibition on commercial banks' involvement in cryptocurrencies takes effect, most trading is likely to move to peer-to-peer networks or social applications such as Telegram, according to retail investors, Thomson Reuters reported. Despite the crackdown, there is a perception that the industry will survive the cryptocurrency ban. Niranjan Patil, a cryptocurrency expert based in Bengaluru, told NDTV that cryptocurrencies will not turn illegal in India as some tend to believe, since the RBI central bank had stated in April first week that the government is working on its own crypto coin. Even prior to the April 6 circular, the Reserve Bank of India (RBI), had, cautioned the cryptocurrency users, traders and holders of digital currencies. The first RBI warning was sent in December 2013, the second in February 2017 while the last one in December 2017. As expected, most cryptocurrency experts are unhappy with the move. Awanish Rajan, CEO of IDAP.io, a crypto derivatives exchange, says, "I think the government should consider that such a move will stifle the spirit of entrepreneurship that has developed in the wake of blockchains and cryptocurrencies. RBI's move is intended to protect the public but I do not think treating cryptocurrencies as inherently bad is the right step forward. Since technology can be used wisely or misused; the government needs to talk to those involved in blockchain and cryptocurrency and together formulate regulations so that benefits for both the public and the startups engaging in this new technology are maximised while ill effects are eliminated." Sharan Nair, senior vice president at CoinSwitch.co believes that now trading of cryptocurrency will be restricted to over the counter and P2P platforms. "With the deadline approaching, trading of cryptocurrencies will be restricted to OTC (over the counter) and P2P platforms. This will be a setback to both exchanges and blockchain companies aspiring to build world-class products/services using blockchain technology. The only thing is to be patient and watch." said Sharan Nair, senior vice president at CoinSwitch.co. 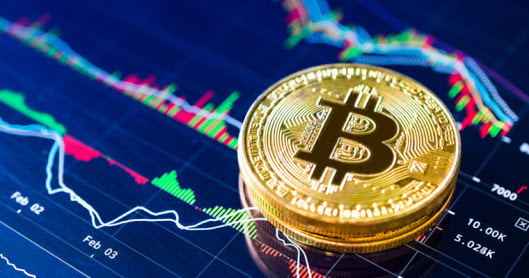 The cryptocurrency market was valued at USD 284.0 Million in 2016 and is expected to reach USD 2,902.0 Million by 2023, at a CAGR of 32.31% during the forecast period. The base year considered for the study is 2016, and the forecast for the market size has been provided for the period between 2017 and 2023.